I’ve been reading David Abulafia’s The Great Sea: a Human History of the Mediterranean. Now that I’ve got to the part dealing with the second millennium AD, one of the seaports I find frequently mentioned is the Levantine port known in English as Acre, in the north of what is now Israel. I have always assumed that in English we pronounce it identically with the common noun referring to the unit of measurement equivalent to about two-fifths of a hectare, i.e. ˈeɪkə. Wikipedia, however, asserts that it is ˈɑːkə(r). I see that Merriam-Webster gives both of these possibilities as well as a third one, ˈɑːkrə. There are various English placenames that include the element acre, or rather its OE form æcer ‘cultivated land’: for example, Sandiacre ˈsændieɪkə in Derbyshire, and also Castle Acre, South Acre and West Acre in Norfolk, all with ˈeɪkə. On Merseyside, however, Gateacre, etymologically ‘goat-acre’, is ˈɡætəkə, with a weakened penultimate vowel. The village of Talacre, not too far away but in north Wales, is properly tælˈækreɪ, being a Welsh compound of tâl ‘end’ plus the plural of acer from English acre. 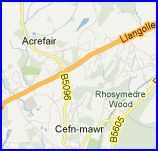 The standard Welsh plural form is, I believe, aceri; this acre must be a local variant acrau, with -au pronounced in the usual local way as e.
For the same reason Acrefair near Wrexham is properly ˌækrɪˈvaɪə (Welsh akreˈvair). Etymologically, the fair element in this name is the soft-mutated form of Mair ‘Mary’, so the name means ‘Mary’s acres’. With its mind-bending plosives, tongue-twisting fricatives and terrifying affricates, Polish is not the easiest of languages to master. Try saying Szczebrzeszyn (sounds a bit like shtebdeshin) for the merest hint of the challenges involved. …before degenerating into ignorant silliness. To non-Polish speakers, just saying hello sounds more like a polite sneeze than a greeting, while the combination of z with almost every other consonant creates a palette of snuffles that can be distinguished only with the most diligent study. 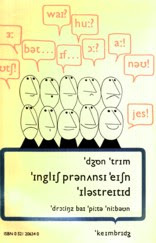 Why Polish plosives should be ‘mind-bending’ when English ones are presumably not is far from clear. For many NNSs I suspect that the English fricative system, with its unfamiliar θ and ð, is at least as ‘tongue-twisting’ as the Polish system with its unfamiliar x, ɕ and ʑ. But I cannot help suspecting that is not the sounds of Polish that seem full of ‘terrifying’ ‘challenges’ so much as the unfamiliar orthographic conventions. The spellings cz, rz, sz, far from ‘creating’ a palette of snuffles, are merely unfamiliar ways of spelling sounds very similar to those we spell in English inconsistently with ch or tch (as in chop and catch) for the first, with s, z or g (as in vision, seizure and beige) for the second, and with sh, ti, ssi or various other possibilities (as in shop, position, passion, ocean, sugar etc.) for the third. OK, the Polish ʈʂ, ʐ, ʂ sound a bit ‘darker’ than English tʃ, ʒ, ʃ, being somewhat more retroflex and less palatal; but that needn’t worry us. I leave it to you to decide whether or not the Polish for ‘hello’, cześć ʈʂɛɕtɕ, ‘sounds like a polite sneeze’.